When I was a kid, we didn’t hand out Valentines to everyone in our class (and they were not at all Pinterest worthy). In sports, we didn’t all receive trophies for participating. And, we didn’t have to feel guilty about not inviting the entire class to our birthday parties. Egos got bruised for sure. Despite our best efforts to protect our children’s feelings, there will come the day when your child will be excluded. There’s no way around it. Maybe it’s a party, an outing somewhere, or a friend leaves him off of a group text. Only now, social media makes the exclusions all the more apparent and has the power to crush their little souls like nothing else. Sure, we encourage our kids to include others, to be empathetic, and to stand up for their friends and classmates. But we can’t always shield them from rejection, nor should we want to, as difficult as it may be to witness. Rather, we want them to come out the other side, stronger and more confident. (Note: I am not talking about bullying, an entirely different issue). Sometimes, books say it better than we can, and at the very least, may open up talking points with our children. Note: As an Amazon affiliate, I may receive a small commission if you make a purchase through one of my links. Although Leela loves yoga, she can’t master headstands. 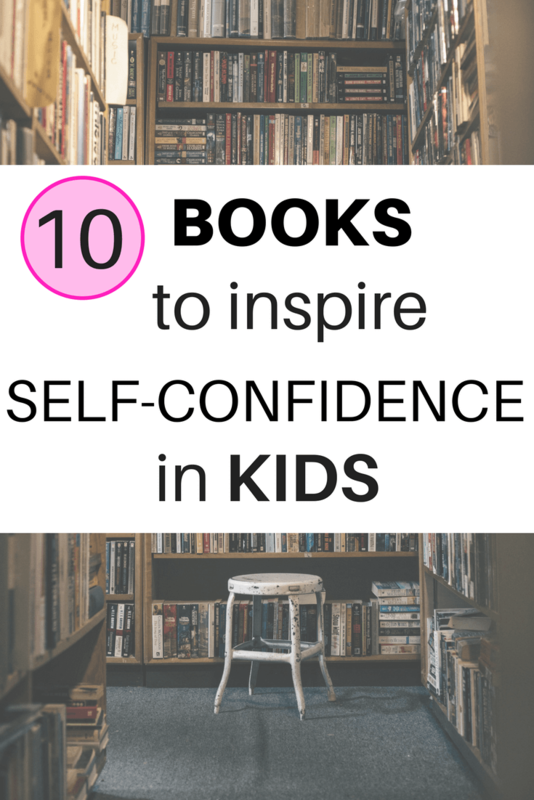 This book’s lesson applies to both children and adults. Our successes or failures do not define us. And though we set goals for ourselves, we can’t always achieve them. And, that’s OK. Written in the form of a letter, this book reminds girls to stay true to themselves, stand up for what they believe in, and to accept their imperfections. This book remains one of my favorite children’s books. A girl named Chrysanthemum loses interest in school as her classmates tease her about her name. She finds a mentor and learns to embrace her individuality and take pride in her unique name. My third-grader read the novel Wonder to my daughter and me. We saw the movie and loved it, but much of it seemed over my 6-year-old’s head. This book, meant for a younger audience, does not retell the story of Augie, a boy who physically looks different. Instead, it focuses on his emotions and the good in people. In this series of novels, written by a former Navy SEAL, the main character gains confidence through mental and physical challenges. Through hard work and discipline, Marc gains the courage to confront his bully. *An older teen may appreciate the book The Warrior’s Heart, written by another Navy SEAL. This humorous graphic novel series explores the worries of Abbie Wu, a girl entering middle school. This memoir told in the form of a graphic novel, recounts the author’s long orthodontic journey, including surgeries and fake teeth. It also deals with bullying and ultimately, self-acceptance. There’s a reason why Jerry Spinelli’s books are often required reading in middle school. His books (Loser, Maniac Magee, Wringer) involve characters grappling with their identities. This book tells the story of Stargirl, the ultimate non-conformist, and the boy who falls in love with her. This classic Judy Blume book brings back so many memories. As parents, many of us project our own dreams and ideas of success onto our children. What happens when those dreams fail to materialize into reality? Deenie’s mother wants her to pursue a modeling career. But a scoliosis diagnosis changes everything. Deenie must wear a full back brace and has to learn that self-worth comes from within. This book follows a middle school girl, bullied for the color of her skin. She struggles with self-esteem issues but learns to stand up for herself. This is the true story of two pen-pals, a teenage girl in the United States and a boy living in Zimbabwe. Through their six years of letters, the two become real friends and gain an understanding of the others’ very different life. Your child will gain a real-world perspective and understanding of how others live and the problems they face. Of course, social media can do a number on us adults too, bringing out issues of self-doubt: Profile photos of happy families, parents sharing their child’s newest talent, husbands tagged for buying flowers just because, and that innocuous hashtag “blessed” that is anything but. It’s time to get a grip on your reality. Remind yourself of how real and awesome you are IRL. Your life is so much grittier, tougher, and more interesting than anything you could possibly put out there on social media-your private struggles, your relationship truths, your failures, successes, and regrets. Speaking of books, I’ve launched a Virtual Book Club and I would love for you to join. Click here for more information on how it works. 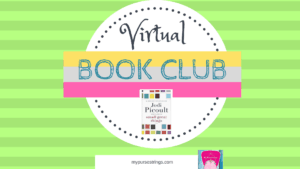 And be sure to join the My Purse Strings Virtual Book Club Facebook Group. Our first book is Jodi Picoult’s Small Great Things. My tween loves Smile and all of the other books by Raina Telgemeier. I have read a few of the others, but many are new to me. Pinning! Thanks for the great list! My son will be getting braces soon. He’s going to have to read that one.